Windshields are a vital part of our cars. They guard passengers against wind and other foreign objects whilst improving visibility. But, while driving on roads we encounter various conditions like heat, wind, dust, and hail and these can all cause trouble for the windshield. Modern glasses used in windshields have added strength, but they still need basic care on a regular basis. The best part is you can do it yourself and does not require additional costs. Climatic conditions can vary by the day. Besides, bird droppings, hard water spots, dust and leaves can leave marks on the windshield. Make sure to wipe the screen thoroughly with a quality glass cleaner and mesh sponge pad or microfiber cloth. Alternatively, you can use water and soap. Make sure the products you use do not damage the windshield or the paint of your car in any way. 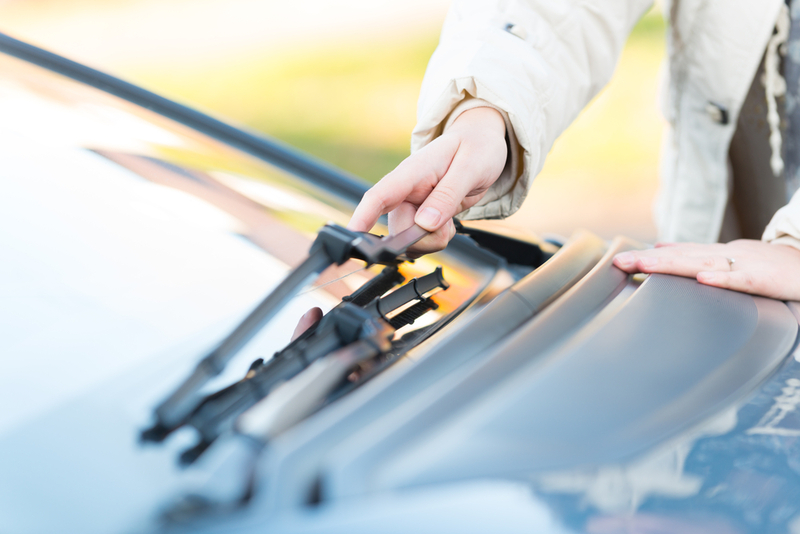 Wiper blades keep the windshields unsoiled and mend visibility during rains. But broken or worn out wiper blades will damage it. For instance, if the rubber on the end of the blade is chipped, it won’t clean as it should and create stress marks. Sometimes, the metal that holds the rubber on the blades can also leave scratches on the windshield if they come in direct contact. These scratches cannot be repaired and replacement is your only option. Ensure changing the blades with the slightest sign of marks on the screen or rubber depletion. Modern cars and accessories are made with climatic conditions in mind, but high or low temperatures can invariably affect the glass. To tackle that problem, park your car under shade whenever possible because heat can damage the windshield. Using the air conditioner in the summers is inevitable and the drastic temperature differences will definitely affect their volatility. Opt for solar control glass if your windshield is subject to constant sunlight. Vehicles are prone to get hit by small stones, pebbles or debris while on road. Every now and then something might chip the paint of your vehicle or even crack your windshield. Fortunately, these chips and cracks can be repaired in most cases. Take your car to an automotive glass repair center and get it fixed right away before cracks or chips spread across the windshield.